Let the expert staff at International Golf Realty manage your property. Our leasing agents handle all aspects of the leasing process, from procuring qualified tenants, to collecting rent, and handling all maintenance and repair issues. International Golf Realty Property Management can minimize your risks, reduce inconveniences and eliminate the hassles of everyday maintenance tasks while leaving you with the peace of mind that your property is being professionally managed. We advertise the property in multiple ways including Realtor.com, Rental.com, two Multiple Listing Services, popular websites such as Zillow and Trulia, as well as several local publications. We meet with the owner to set the monthly rental amount and to inspect the property. We put an attractive Home for Rent sign on your property and arrange viewings. Applications are processed and evaluated according to our rental criteria. All potential tenants are screened for credit, rental history, employment and income, and criminal background. You can expect that we will lease your property at the amount as outlined in your management agreement with us (or higher). You can expect that we will not lease your property at a lower amount, without first obtaining your permission. We notify the qualified applicant, manage the lease signing process, obtain the security deposit and first months rent, and disperse all keys and remotes accordingly before the tenant takes occupancy. All leases, contracts, and addendums are prepared by a Florida Real Estate attorney. We collect the monthly rent, pay applicable bills, and forward proceeds to the owner (direct deposit is available). We offer automatic electronic deposits  ACH direct deposit. We serve any necessary legal notices to tenants. 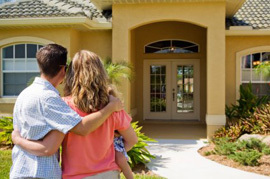 We conduct a Move-In property inspection and complete a detailed property inspection report of your property. We also take photos at this time to document the move-in condition. We handle maintenance and repair issues 24 hours a day, seven days a week, including weekends and holidays, through our approved vendors. We coordinate with qualified, licensed and insured vendors for maintenance and repair issues while communicating with the owner on estimates and costs. We consistently do periodic property inspections with full photo documentation and a written condition report. Digital photographs are stored to aid in the assessment of a propertys condition over time. Periodic drive-bys are also conducted to keep abreast of the propertys condition. Owner statements are uploaded to the owners portal monthly. An annual statement showing income and expenses for the entire year is uploaded to the Owners portal once 1099s are sent out. Our property managers and leasing agents keep up with current Landlord and Tenant laws. We are members of local, state and national property management associations. We are active within our industrys professional organizations and associations to stay abreast of technology improvements and changes in practices or statutes. This helps us provide accurate information to the owner while still treating the tenant fairly. Full service landscaping and lawn maintenance, including trimming, weeding, and power washing is available at very reasonable prices. Full service lawn, pest, and weed control is available to ensure your lawn is healthy and green all year long.